Jeunes Animaux Confisqués au Katanga (J.A.C.K. – ‘young animals confiscated in Katanga’) is an independent, self-funded NGO that started in Lubumbashi (DRC) in April 2006. Run by Franck CHANTEREAU and his wife Roxane, J.A.C.K. is a Sanctuary for chimpanzee orphans confiscated by law by the DRC Ministry of the Environment. J.A.C.K. 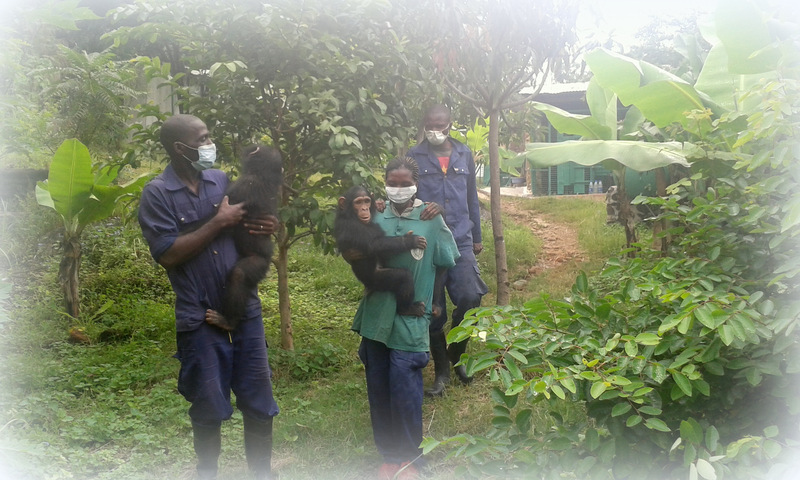 Sanctuary has a double mission: (1) to stop the illegal trade of apes throughout Lubumbashi by enforcing laws on wildlife and (2) to give the confiscated ape orphans a decent refuge with all the needed love and care. Today, it is thought that nearly half of the chimpanzees living in the wild are in the DRC. Unfortunately, although this Central African country has ratified CITES agreements protecting Great Apes more than 30 years ago, nearly no action has been taken in Southern DRC to protect them. Chimpanzees are still being poached, eaten and sold in the Democratic Republic of CONGO. This species is soon to become extinct if awareness is not advocated to stop the trade!!! Today, in January 2018, J.A.C.K. 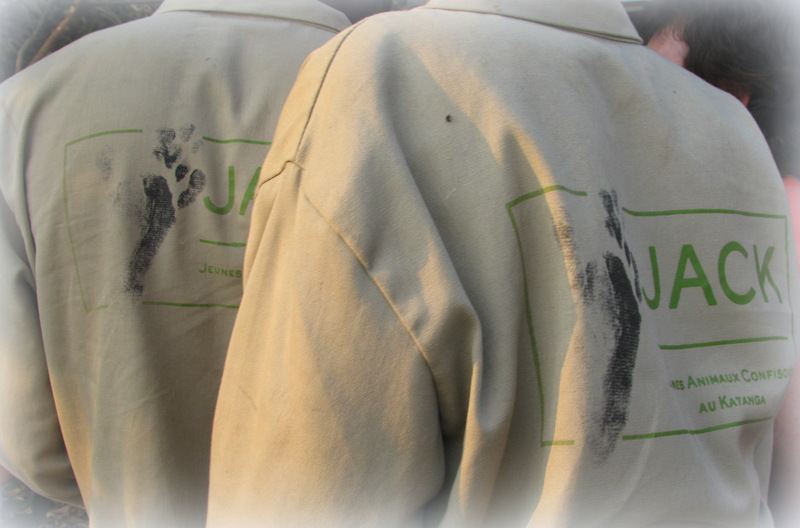 is looking after 35 young chimpanzees aged between 5 and 15 years old. There are 17 females and 18 males at the Sanctuary. None have parental links as all of them do come from different areas of the country and all of them do result from the bushmeat trade and from the exotic animal pet trade. J.A.C.K. doesn’t buy chimpanzees. J.A.C.K. doesn’t sell chimpanzees. J.A.C.K. rescues them with the aim to put them back into the wild which is another step of the project. It’s now 12 years that the Sanctuary was created and, so far, both initial missions of J.A.C.K. have been achieved. The 35 residents rescued by J.A.C.K. are all healthy and do live in decent captive conditions. Land from the Government has been promised for several years to start J.A.C.K. pre-release program and the sanctuary is still waiting for it! Meanwhile, J.A.C.K. does its utmost to provide its rescued ‘kids’ with all the love and the best care they need and diserve! Also, no more chimpanzees can be seen on sale on the streets of Lubumbashi, second biggest city of the Democratic Republic of Congo. Which means J.A.C.K. action is effective and people are now scared to detain or sell apes in this part of the country!